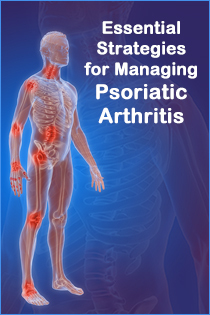 Psoriatic arthritis is a complex inflammatory disorder that requires multidisciplinary care in order to optimize outcomes. Because of related contributions of both skin and joint manifestations in the development, progression, and severity of PsA, enhanced collaboration between dermatologists and rheumatologists is necessary to optimize the diagnosis and treatment. Studies have shown that combined dermatology and rheumatology care can improve outcomes in patients with psoriasis and PsA, and this approach is being recognized as crucial to addressing common barriers that dermatologists and rheumatologists face in the management of this condition (Soleymani 2018). Clinicians would benefit from multidisciplinary expert panel discussions aimed at improving the diagnosis and overall care of patients with PsA. In order to receive credit, participants should watch the entire video. Once you have watched the video, you will continue to the online quiz and evaluation. A passing score of 70% on the quiz is required to receive credit. A certificate will be available in your transcripts upon successful completion of the quiz and evaluation. If you have questions about this CME activity, please contact AKH Inc. at tbrignoni@akhcme.com. There is no fee for this activity. Undertreatment and mistreatment of Alzheimer’s disease and its associated symptoms are significant health care problems. This multidisciplinary activity will examine effective management strategies and optimal therapy for cognitive and neuropsychiatric symptoms. In order to receive credit, participants must complete the pre-test, view the activity, complete the post-test, and evaluation. You must obtain a passing score of 80% on the post-test. Statements of Credit are awarded upon successful completion of the post-test and evaluation. In accordance with ACCME requirements, the University of Cincinnati College of Medicine has a conflict of interest policy that requires, all faculty, planning committee members, and other individuals who are in a position to control content, to disclose any relevant relationships with any commercial interest related to this activity. The existence of these interests or relationships is not viewed as implying bias or decreasing the value of the presentation. All educational materials are reviewed for fair balance, scientific objectivity and levels of evidence. Disclosure will be made at the time of activity. To view faculty disclosures, click the on the faculty name. Department Psychiatry and Behavioral Neuroscience Endured Grand Rounds - "Transcriptional & Epigenetic Mechanisms of Depression"
In order to receive credit, participants must view the activity, complete the post-test, and evaluation form. You must obtain a passing score of 75% on the post-test. Statements of Credit are awarded upon successful completion of the post-test and evaluation form. Prerequisite: A minimum Bachelor's degree in a behavioral, social science, or biological sciences. This issue addresses concerns involving carotid disease and diagnosis, venous disease and treatment, trans-cranial Doppler and teaching sonographic principles. This Enduring Material activity is available online at www.svunet.org. To receive credit, participants must read the CME articles, including the learning objectives and disclosure statements, as well as the full content of each of these articles, and then complete the post test and evaluation form. Upon successful completion of the post test (80% correct) and evaluation form, a CME certificate of participation will be awarded automatically. The certificate may be printed directly from the website. Research over the last two decades has changed current thinking about the treatment of first episode psychosis. Psychosis is now understood to be neurotoxic, resulting in a measurable loss of brain tissue with each episode. Treatment is necessary not just to relieve symptoms but to prevent additional episodes of psychosis and further tissue loss. From the first episode, psychiatrists need to choose treatments that are neuroprotective and that are associated with high levels of adherence. About 30% of patients with schizophrenia have positive symptoms that are resistant or refractory to treatments with antipsychotic monotherapy. Physicians should consider the adequacy of the previous drug treatment, adherence to therapy, and the existence of other disorders that may cause psychosis. In addition, some therapies have shown positive or mixed results in clinical trials and may be helpful for some patients. The underdiagnosis and undertreatment of psoriatic arthritis represents a significant healthcare gap that increases the potential for severe disease burden, including decreased physical function and quality of life. This interactive case-based activity will examine screening, diagnosis and evidence-based treatment options. In accordance with ACCME requirements, the University of Cincinnati College of Medicine has a conflict of interest policy that requires, all faculty, planning committee members, and other individuals who are in a position to control content, to disclose any relevant relationships with any commercial interest related to this activity. The existence of these interests or relationships is not viewed as implying bias or decreasing the value of the presentation. All educational materials are reviewed for fair balance, scientific objectivity and levels of evidence. Disclosure will be made at the time of activity. To view faculty disclosures, visit the faculty tab. Post Ablation Ultrasound: What Is It and What Are We Looking For? This presentation will educate the vascular community on the management of EHIT endothelial heat induced thrombus, the various codes associated with the post ablation ultrasound and the elements critical to increasing the patient satisfaction in vain treatment through better imaging and documentation. This issue addresses concerns involving carotid disease and diagnosis, venous disease and treatment, transcranial Doppler and teaching sonographic principles. December 2018 JVU: Are You Puzzled When Credentialing Entities Ask You for Criteria for External Carotid Artery Stenosis? approaches to persistent TD are available. as approved by the US FDA for this purpose. Psychopharmacology in Neuropsychiatry: What Works for Parkinson's Disease Psychosis? Parkinson's disease psychosis (PDP) Is a common neuropsychiatric manifestation of Parkinson's disease (PD); up to 60% of patients with PD experience psychotic symptoms for at least one month at some point during the course of their illness. PDP is characterized by hallucinations and delusions, as well as illusions and a false sense of presence. The burden of PDP is substantial for both the patient and the caregiver. PDP is a common reason for hospital admission, nursing home placement, and increased mortality. Until recently treatments for PDP have been limited by poor efficacy, poor tolerability, or both. A new treatment is efficacious for the treatment of PDP. Urothelial cancer of the bladder, renal pelvis, ureter, and other urinary organs is the fifth most common cancer in the United States, and systemic platinum-based chemotherapy remains the standard of care for first-line treatment of advanced/metastatic urothelial carcinoma (UC). Until recently, there were limited options for patients who are refractory to chemotherapy, or do not tolerate chemotherapy due to toxicities and overall outcomes have remained very poor. Standard salvage systemic therapies for advanced/metastatic UC, and chemotherapy regimens were associated with modest survival advantage, and significant toxicities; however, the introduction of novel immunotherapy agents has led to rapid changes in the field of UC. Dr. John Russell, Director of the Family Medicine Residency at Abington Memorial Hospital, is joined by Dr. Arjun V. Balar, Associate Professor of Medicine and the Director of the Genitourinary Medical Oncology Program at the Laura and Isaac Perlmutter Cancer Center at New York University Langone Medical Center. In order to receive credit, participants must 1) read the CME information, including the learning objectives and faculty disclosures; 2) listen to the full content of the activity and reflect upon its teachings; 3) successfully complete the post-test with a passing score of 70% and the evaluation at the end of the activity. Participants who successfully complete the activity, post test and evaluation will have a statement of credit made available immediately. Kidney disease has been recognized as a complication of type 2 diabetes mellitus (T2DM) since the 1950s, developing in approximately 35% of patients with T2DM and affecting as many as 50% of patients with diabetes of more than 20 years’ duration. The prevalence of diabetic kidney disease (DKD) in the United States increased from 1988 to 2008 in proportion to the prevalence of diabetes. Among adults with diabetes, the prevalence of DKD has remained stable despite increased use of antihyperglycemic agents and renin-angiotensin-aldosterone system (RAAS) inhibitors. Newer glucose-lowering agents appear to have glucose-independent effects on diabetic nephropathy and its progression. This virtual patient case will provide an overview of the relationship between T2DM, hypertension, and cardiorenal syndrome, review the evidence based algorithms for the treatment of patients with T2DM, and provide an overview of effects of anti-hyperglycemic agents, particularly GLP-1 RAs and SGLT2 inhibitors, on cardiorenal disease. Following this virtual patient case, clinicians will have increased awareness on how to effectively manage patients with T2DM and DKD based on the benefits and risks of SGLT2 inhibitors and GLP-1 RAs. The educational design of this activity addresses the needs of US-based healthcare professionals, including primary care clinicians (PCPs), nurse practitioners (NPs), physician assistants (PAs), endocrinologists, diabetologists, pharmacists, cardiologists, lipidologists, and other allied health professionals. In order to receive credit, participants must view the activity, complete the post-test, and evaluation form. You must obtain a passing score of 70% on the post-test. Statements of Credit are awarded upon successful completion of the post-test and evaluation form. Chronic obstructive pulmonary disease (COPD) is a chronic, complex illness with multiple systemic effects, including cardiometabolic conditions, and requires an integrated approach for its optimal management. Not only do these conditions affect patient adherence by adding to the burden of polypharmacy, they have been shown to independently impact patient response to COPD therapy. This activity will consist of a high-impact visual experience using interactive infographics and will discuss the prevalence and identification of cardiometabolic conditions in patients with COPD, the most recent advances in COPD research, and offer evidence-based management strategies based on the GOLD 2018 recommendations. The activity will also include patient case examples and provide expert recommendations for collaborative team effort and patient self-management for combatting the cardiometabolic conditions commonly associated with COPD and their impact on COPD management and outcomes. For information about the nursing accreditation of this activity, please contact Global Education Group at 303-395-1782 or cme@globaleducationgroup.com. In this activity, Dr. Michelle Petri discusses strategies to improve the diagnosis and management of systemic lupus erythematosus in the primary care setting. To register and participate in this activity, please go the registration details and click the link provided. In order to receive credit, participants must view the activity and complete the post-test and evaluation form. There are no pre-requisites and there is no fee to participate in this activity or to receive CME credit. Statements of Credit are awarded upon successful completion of the post-test and evaluation form. In this activity, renowned experts in uncommon interstitial lung diseases, diffuse cystic lung diseases, airway obstruction, and alveolar filling lung diseases, discuss the evidence based practices for diagnosis of these disorders. For more information about rare lung diseases, visit the Rare Lung Diseases Consortium. In accordance with ACCME requirements, the University of Cincinnati College of Medicine has a conflict of interest policy that requires, all faculty, planning committee members, and other individuals who are in a position to control content, to disclose any relevant relationships with any commercial interest related to this activity. The existence of these interests or relationships is not viewed as implying bias or decreasing the value of the presentation. All educational materials are reviewed for fair balance, scientific objectivity and levels of evidence. To view faculty disclosures, click the on the faculty names. In this activity, pulmonologists with expertise in rare lung diseases discuss the current evidence-based practices for diagnosis and treatment of lymphangioleiomyomatosis (LAM). For more information about Lymphangioleiomyomatosis, visit The LAM Foundation. In order to receive credit, participants must complete the pretest, view the activity, and complete the post-test, and evaluation form You must obtain a passing score of 70% on the post-test. There are no prerequisites and there is no fee to participate in this activity or to receive CME credit. Statements of Credit are awarded upon successful completion of the post-test and evaluation form. In accordance with ACCME requirements, the University of Cincinnati College of Medicine has a conflict of interest policy that requires, all faculty, planning committee members, and other individuals who are in a position to control content, to disclose any relevant relationships with any commercial interest related to this activity. The existence of these interests or relationships is not viewed as implying bias or decreasing the value of the presentation. All educational materials are reviewed for fair balance, scientific objectivity and levels of evidence. To view faculty disclosures, visit the faculty tab. Despite numerous advances in treatment for psoriasis and psoriatic arthritis (PsA), many patients continue to experience negative health consequences that could be prevented or improved with optimal evidence-based care. Dermatology, rheumatology, and primary care clinicians can improve outcomes for their patients by increasing their knowledge and competency in diagnosis, management, and interdisciplinary care coordination. This activity will address best practices in dermatology as well as specialty collaboration and comanagement in the treatment of psoriatic disease. In order to receive credit, participants must view the activity and complete the tests and evaluation form. There are no pre-requisites and there is no fee to participate in this activity or to receive CME credit. Statements of Credit are awarded upon successful completion of the post-test and evaluation form. In accordance with ACCME requirements, the University of Cincinnati has a conflict of interest policy that requires faculty to disclose relevant financial relationships related to the content of their presentations/materials. Any potential conflicts are resolved so that presentations are evidence-based and scientifically balanced.The planning committee and those in a position to control the content of this activity have disclosed no relevant financial relationships. All planning committee members/faculty were determined to have no conflicts of interest pertaining to this activity. To view faculty disclosures, visit the faculty tab. Despite numerous advances in treatment for psoriasis and psoriatic arthritis (PsA), many patients continue to experience negative health consequences that could be prevented or improved with optimal evidence-based care. Dermatology, rheumatology, and primary care clinicians can improve outcomes for their patients by increasing their knowledge and competency in diagnosis, management, and interdisciplinary care coordination. This activity will address best practices in rheumatology as well as specialty collaboration and comanagement in the treatment of psoriatic disease. In accordance with ACCME requirements, the University of Cincinnati has a conflict of interest policy that requires faculty to disclose relevant financial relationships related to the content of their presentations/materials. Any potential conflicts are resolved so that presentations are evidence-based and scientifically balanced. All planning committee members/faculty were determined to have no conflicts of interest pertaining to this activity. To view faculty disclosures, click the on the faculty names. There are 3 modules for 1 CME/CE credit each. For each module, complete the pre-test, review the 4 cases, fill in the intra-activity questions, complete post-test and evaluation to receive credit. Passing grade is 70% and unlimited attempts. Patients who are immunocompromised or critically ill represent a particularly vulnerable population for infectious disease. One of the most common infections in immunosuppressed patients, including hematopoietic and solid organ transplant recipients, is cytomegalovirus (CMV). Infections caused by Gram-negative bacteria are also a significant concern in immunocompromised or critically ill patients. Management of both CMV and Gram-negative bacterial infections can be complicated by multi-drug resistance, which limits treatment options and negatively impacts outcomes. New options for preventing and managing these serious infections have recently been introduced, and other agents are in late stages of clinical development. This activity has been designed to help clinicians analyze and apply best practices in managing serious infections in immunocompromised and critically ill patients. The program consists of 3 modules, each with 4 clinically-relevant cases involving serious infections that impact immunocompromised or critically ill patients, including CMV and multi-drug-resistant Gram-negative bacterial infections. This interactive online case-based format allows you to reflect on your own clinical decision making, and compare your decisions with those of an expert panel. Each module also provides the opportunity to review key risk factors for infections, issues that may impact therapeutic choices, and recently approved and investigational agents. In order to receive credit, participants must view the activity, and complete the post-test, and evaluation form; You must obtain a passing score of 70% on the post-test. There are no prerequisites and there is no fee to participate in this activity or to receive CME credit. Statements of Credit are awarded upon successful completion of the post-test and evaluation form. Department Psychiatry and Behavioral Neuroscience Endured Grand Rounds - "Pseudoaddiction"
In order to receive credit, participants must complete the pretest, view the activity, and complete the post-test, and evaluation form. You must obtain a passing score of 75% on the post-test. Statements of Credit are awarded upon successful completion of the post-test and evaluation form. Department Psychiatry and Behavioral Neuroscience Endured Grand Rounds - "Minding Your Performance: Strategies for Optimizing Your Energy and Integrating Work/Life Balance With Consistency"
Department Psychiatry and Behavioral Neuroscience Endured Grand Rounds - "The Elements of Effective Psychotherapy: More Than Just Listening"
Department Psychiatry and Behavioral Neuroscience Endured Grand Rounds - "When a Parent has Cancer: What Every Clinician Needs to Know to Address Parenting Concerns"
Department Psychiatry and Behavioral Neuroscience Endured Grand Rounds - "Advances in the Management of Alzheimer's Prevention Treatment: A Clinical Precision Medicine Approach"
In accordance with ACCME requirements, the University of Cincinnati College of Medicine has a conflict of interest policy that requires, all faculty, planning committee members, and other individuals who are in a position to control content, to disclose any relevant relationships with any commercial interest related to this activity. The existence of these interests or relationships is not viewed as implying bias or decreasing the value of the presentation. All educational materials are reviewed for fair balance, scientific objectivity and levels of evidence. Disclosure will be made at the time of activity. o view faculty disclosures, click the on the faculty name. Department Psychiatry and Behavioral Neuroscience Endured Grand Rounds - "Informing Genomics by other “omics”: Implications in Precision Medicine for Neuropsychiatric Disorders"
Department Psychiatry and Behavioral Neuroscience Endured Grand Rounds - "Determining the Vulnerability to Abuse Drugs"
For more information regarding this activity, please contact the course director. Must be UC affiliates or a social worker to take part in this activity. A minimum Bachelor's degree in a behavioral, social science, or biological sciences. In accordance with ACCME requirements, the University of Cincinnati has a conflict of interest policy that requires faculty to disclose relevant financial relationships related to the content of their presentations/materials. Any potential conflicts are resolved so that presentations are evidence-based and scientifically balanced. The planning committee and those in a position to control the content of this activity have disclosed no relevant financial relationships. To view faculty disclosures, click the faculty on the name.